The aim of this work is to reduce the development costs of new domain decomposition methods and to develop the parallel distributed software adapted to high performance computers. A new approach to development of the domain decomposition software system is suggested; it is based on the object-oriented analysis and middleware CORBA, MPI. 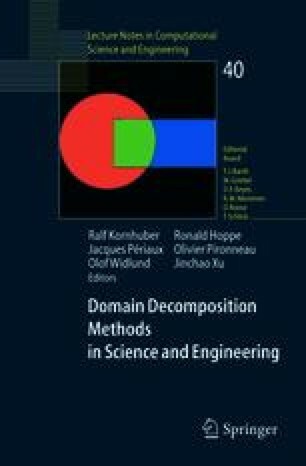 In this paper, the main steps of domain decomposition are determined, the object-oriented framework is described, and then it is extended for parallel distributed computing. The given examples demonstrate that the software developed in such a way provides mathematical clarity and rapid implementation of the parallel algorithms.